We at Original Paella think about your needs and make kits whose main aim is to facilitate the selection of your equipment by testing and selecting the best products in terms of quality/price. 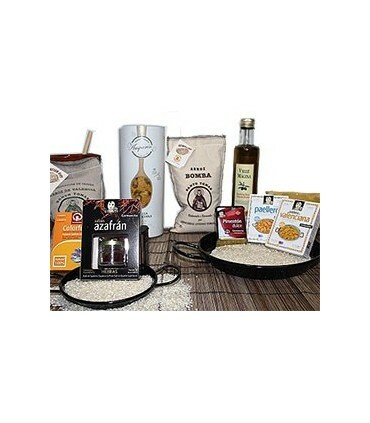 All our paella sets or kit paella packs include: paella pan, paella gas burner, support legs and paella spoon, you can also choose one of our packs with authentic paella ingredients like valencian rice, paprika, saffron and the best paella condiments. Furthermore, purchasing them together will give you access to big discounts and let us to manage our deliveries, so make the most of all these advantages and choose your paella kit! We at Original Paella think about your needs and make kits whose main aim is to facilitate the selection of your equipment by testing and selecting the best products in terms of quality/price. 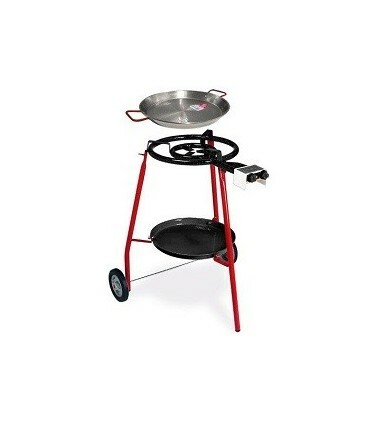 All our paella sets or kit paella packs include: paella pan, paella gas burner, support legs and paella spoon, Furthermore, purchasing them together will give you access to big discounts and let us to manage our deliveries, so make the most of all these advantages and choose your paella kit! In Originalpaella you can also choose one of our paella ingredients sets with authentic paella ingredients like valencian rice, paprika, saffron, paella coulorant and the best paella condiments from Valencia Spain. Furthermore, purchasing them together will give you access to big discounts and let us to manage our deliveries, so make the most of all these advantages and choose now your paella ingredients set!